Baton twirling is an international recreational and competitive sport that encompasses the physical stamina and agility of gymnastics and dance, the beauty of ballet and figure skating, and the technical skill of twirling a baton. Baton twirling is a fun activity for both children and adults! It is a sport that is enjoyable both as an individual and when part of a group. Baton skills are learned along with dance and twirling routines to fun music. Baton twirling lessons are a great way to meet new friends, get exercise, and increase flexibility. What Can I Achieve in Baton Twirling? Athletes who pursue competitive twirling through organizations such as the United States Twirling Association (USTA) learn how to deal with pressure and come to appreciate the rewards of determination and dedication. Some also have the opportunity to travel nationally and internationally to compete. Competition categories are available for tiny tots through adults. High school twirlers may have the opportunity to perform with their school’s marching band. 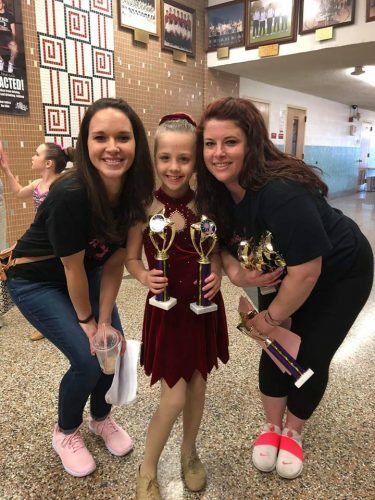 Many twirlers become coaches and judges, and continue to share their love of the sport with others.